Since moving to the new location in 2006, the Center has shared space with several other practitioners in other disciplines. These separate offices under our one roof. 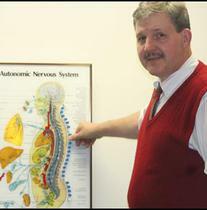 Dr. Julie is a 1987 graduate of the Regional Osteopathic College in Lewisburg, WVA. She has developed a love of helping people with anti aging and advanced skin care. She has developed many techniques to keep you looking younger and better than your stated age. Dr. Peterson is a practising Podiatrist. Not only can you get your spine adjusted, but the foundation of the body, your feet, can be checked, corrected and made to support you in the best manner possible. Dr. Peterson accepts Medicare and will make housecalls to those who cannot get to the office. She can be reached at 541-0323.